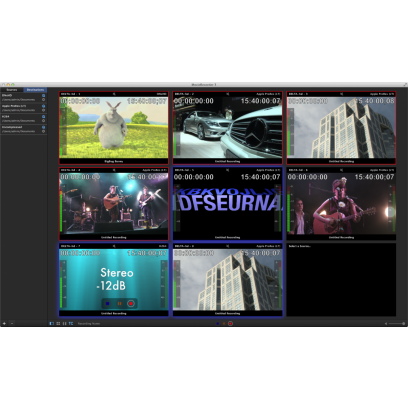 With MovieRecorder, Softron Media Services offers its customers a cost effective way to capture video for collaborative editing. No media transcoding, re-linking or re-rendering is required. The post sessions are much more manageable with pre-editing starting at ingest and content fully online and easily searchable. With Edit while Ingest it is possible to start editing in Final Cut Pro, Adobe Premiere Pro or most other editing solution seconds after the ingest has started.MovieRecorder provides Apple Macintosh users with powerful and cost effective ingest capabilities as well as multi-station ingest control.